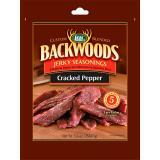 Same as the original jerky seasoning but with the tasty added kick of cracked black pepper. Net Weight - Makes 5 lbs. : 5.6 oz. 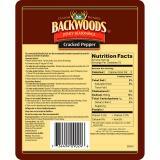 Seasoning Ingredients: Salt, Dextrose, Sugar, Spices, Mustard, Garlic Powder, Sodium Erythorbate (.89%), And Less Than 2% Tricalcium Phosphate Added To Prevent Caking. A heavy duty, all stainless steel construction, hand powered grinder. Easy to clean and rust resistant. Clamps onto most countertops or tables. Large batches, small batches, or any size in between, we have the perfect size Meat Mixer for you. Stainless Steel Meat Mixers make sausage making simple! A heavy duty jerky maker with high capacity. 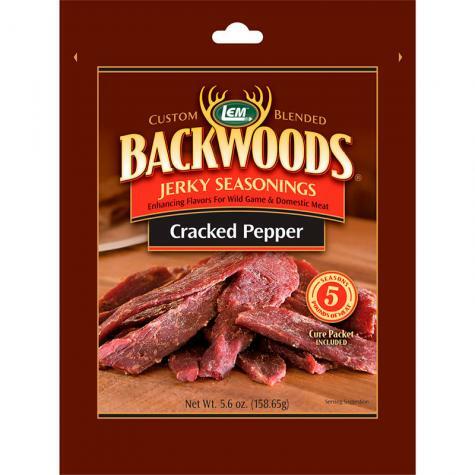 Ground meat dispenses easily in either jerky or stick form. Tube holds 1.5 lbs of meat. Preserve meat, fruit and vegetables to enjoy later. Five trays for 7.5' of drying space! Extend the freshness and freezer life of your favorite foods. Commercial grade sealer is made of stainless steel and fits well on countertops. This 15" 450 foot poly-coated freezer paper is great for smaller animals like deer, hogs, etc. Protect against freezer burn and preserve meat for all seasons. Trim paper to size with a cutter. Use on the counter, under the counter, or on the wall. Place freezer sheets between patties to prevent from sticking together when frozen. Acrylic adhesive on this high quality freezer tape holds tight in cold temperatures. A dependable butcher's tape dispenser for quick and easy sealing.